If you’re anything like me, I am always looking for all of the deals during the Holiday! On top of the deals, I want to share how YOU can start earning Cash Back every time you shop. Save money at the stores you love! Trust me, you will want to read on, you can’t afford not to! There’s NO cost to use this FREE service! This is literally the ultimate online shopping destination. They are the leader of online cash back shopping. You’ll get paid cash back every time you shop online as well as have access to the best coupons and deals online for thousands of your favorite stores and millions of products. Unlike other sites, you can price compare for hassle-free savings. 4. Download “Shop Buddy” and he will make sure you never miss a deal! He will even automatically apply applicable coupon codes. No more searching around for current codes! Just click on the links, or visit my personal website: www.SavvyShopper.biz. The perk of that, is I will be your personal shop consultant! I can help you find the best deals, or even tech you how to navigate the site and how to STACK your savings! There are hundreds of stores offering triple cash back for Cyber Monday, so there’s still time. The list is so long that I can’t list them all, but you can see a complete list here. Did you find some great deals? Share them below! The Holiday Shopping Season is finally upon us! With Black Friday and Cyber Monday just days away, shoppers from all over the world are ready to score the best deals on the gifts they need this holiday season. According to this recent article from Reuters, U.S. holiday sales are expected to jump 2.8 percent this season – with 8% drop in foot traffic (in-store). That means more people than ever will be doing their shopping ONLINE, and if you are reading this, you are probably one of them. So what if I told you that you can “Get Paid” to buy everything on your list, while getting THE best deal, and saving time. And guess what? It is so easy if you know about the right tools. 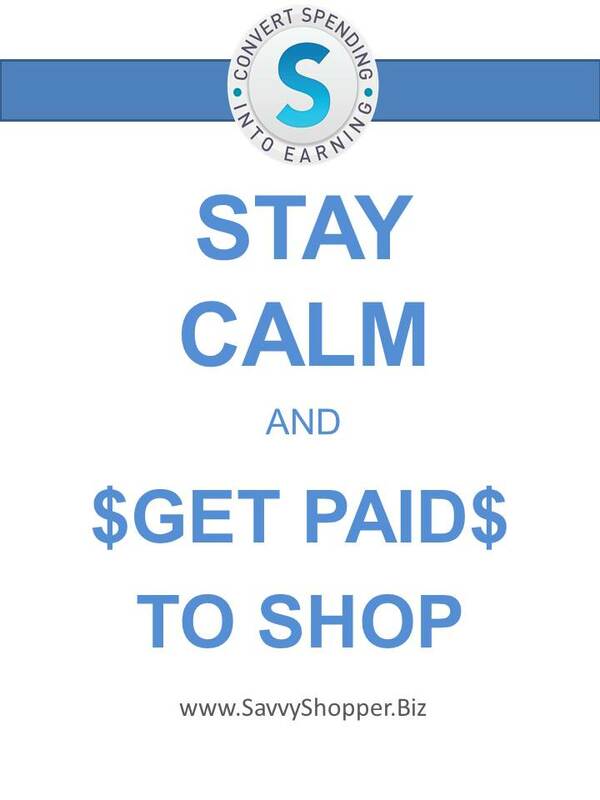 at www.SavvyShopper.biz you will get paid to SHOP with their Cashback Program! Look for products with the Cashback symbol to score great Cashback deals on the products you want! Shop, Save, and Earn up to 50% Cashback on products and services from the stores you know and love. There are thousands!! Find a complete list here. He will become your best friend on the internet! ShopBuddy is a digital assistant that helps ensure you never miss a deal or valuable coupon code again! Visit SavvyShopper.biz today and DOWNLOAD SHOPBUDDY for FREE to get alerts on coupons and deals, plus earn Cashback.This will literally change the way you shop this holiday season! 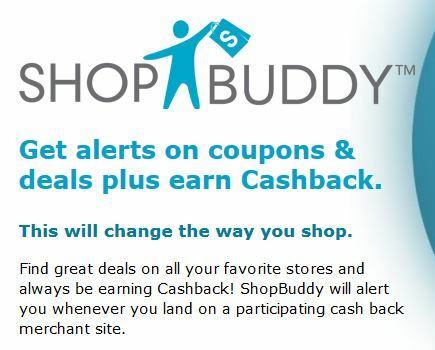 Find great deals on all your favorite stores and never miss out on Cashback again with ShopBuddy! Whenever you visit a participating Cashback merchant site ShopBuddy will let you know – plus get updates on all your deals daily! Always find the best price, no matter what you are looking for, with just of your mouse, the search platform will shop for you browsing millions of products at thousands of stores, so that you can save time! The Hot Deals page has a wealth of information about all the deals being offered through our amazing partner stores. With the Hot Deals Page you are just one click away from the hottest deals online, so be sure to visit this page often to score the best deals this holiday season! Even on Black Friday & Cyber Monday, there’s no need to leave the house to get the best deal. Gift Cards Need a last-minute gift? Gift cards make great gifts – especially when you can choose from a variety of top brands and stores from SavvyShopper. You can even buy discounted gift cards to thousands of stores here! And if you don’t find what you’re looking for there, you may find them here. There are many options. eGiftsLet’s face it, a lot of us wait until the last minute to do our holiday shopping. This can often lead to big headaches, long lines, and the disappointment of struggling to find the gifts you want. If you’re a last-minute shopper, SavvyShopper can really save you a big hassle with eGifts! You’ll not only skip the lines, the crowds, and the headache of finding the right gifts – but you’ll even be able to send your gift at the last second! eGifts can really save the day when it comes to last-minute shopping because it allows you to personally select several gifts for everyone on your gift list. You can choose from millions of products from SavvyShopper’s OneCart Stores. It’s the perfect gift-giving solution for last-second Santas, so be sure to share this with all the procrastinators you know this holiday season! MyLists Making a holiday wish list? MyLists makes it easy to order your favorite products at the best prices! MyLists really help simplify the holiday shopping process – making it easy and fun to shop for your friends and family this holiday season. The MyLists tool allows you and those on your list to easily create wish lists – which can be shared with friends and family to remove all the guesswork from your holiday shopping. With MyLists – you’ll never need to return a gift again! Now is the perfect time to sit down with your family, friends to help them create their holiday wish list using MyLists on SavvyShopper.Biz. This is your opportunity to play Santa and help your friends and family find the perfect holiday gifts. They’re also hosting a massive Black Friday / Cyber Monday Triple Cashback Event – giving you the perfect opportunity build even more cashback. Get paid to shop like a pro and leverage these amazing deals from SavvyShopper.biz. If you are still stressing over gift ideas, don’t worry, they have you covered! Check out these amazing Gift Ideas! Invite Your FriendsNow that you know about this amazing website, help your friends and family get the best deals and earn on all of their spending! Not only will they love you forever for sharing this, you get 0.5% Cashback on all of their future purchases just for sharing! Think about all of the things that you buy all year. This doesn’t have to be just for Holiday shopping. I use the site for groceries, toiletries, travel, birthdays, and other Holidays! And guess what, I have enough money in my CashBack account to take a vacation after the Holidays this year! If you would like to watch a video going over all of these amazing tools, I made one that you can watch any time.